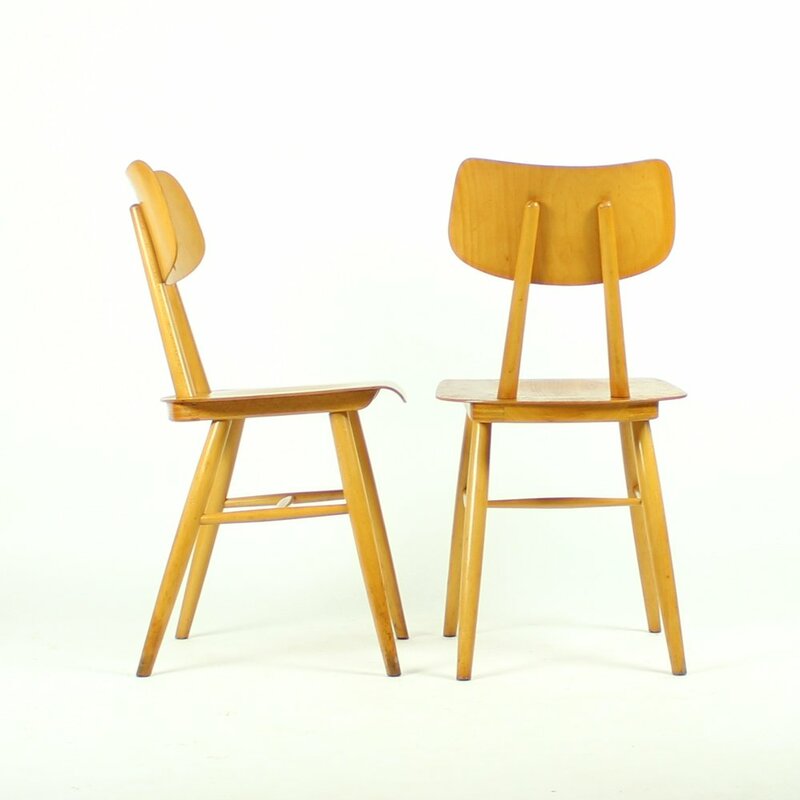 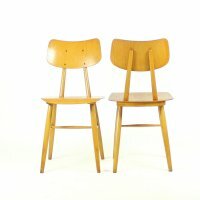 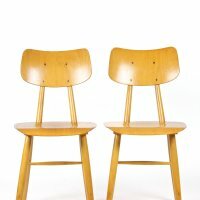 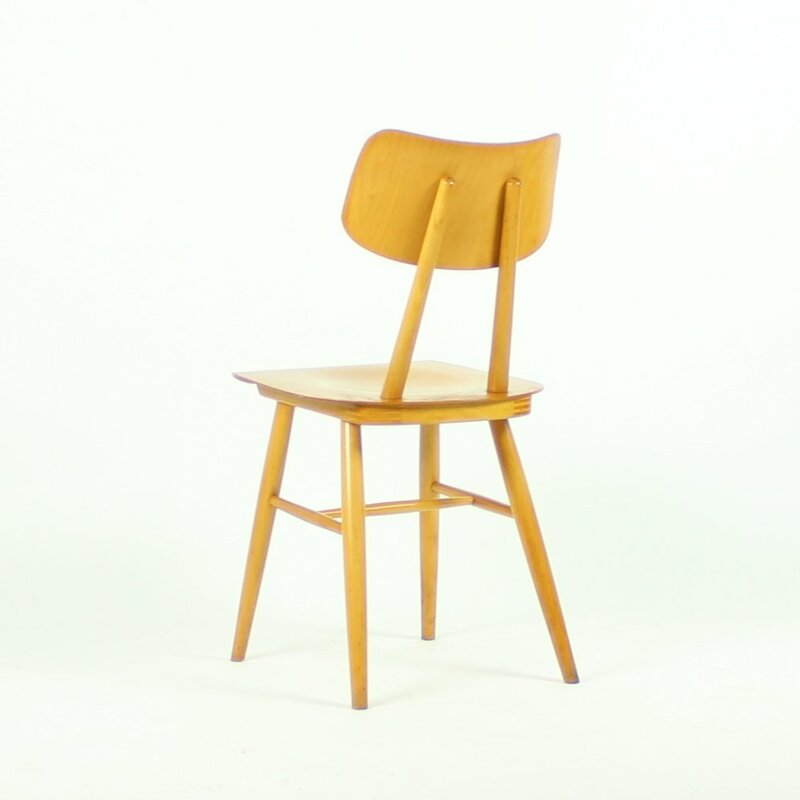 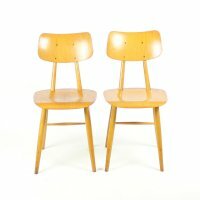 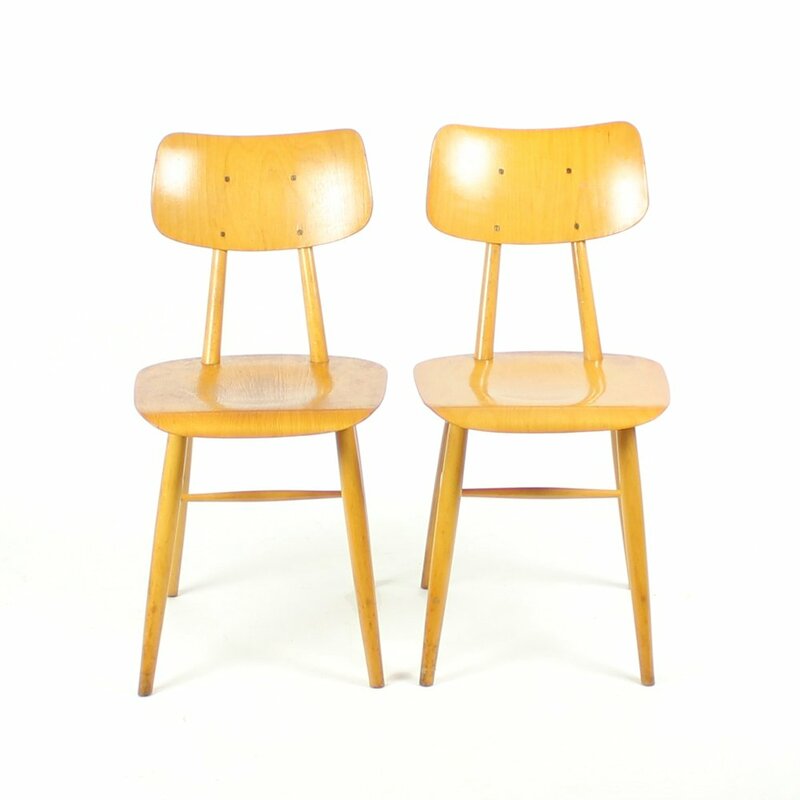 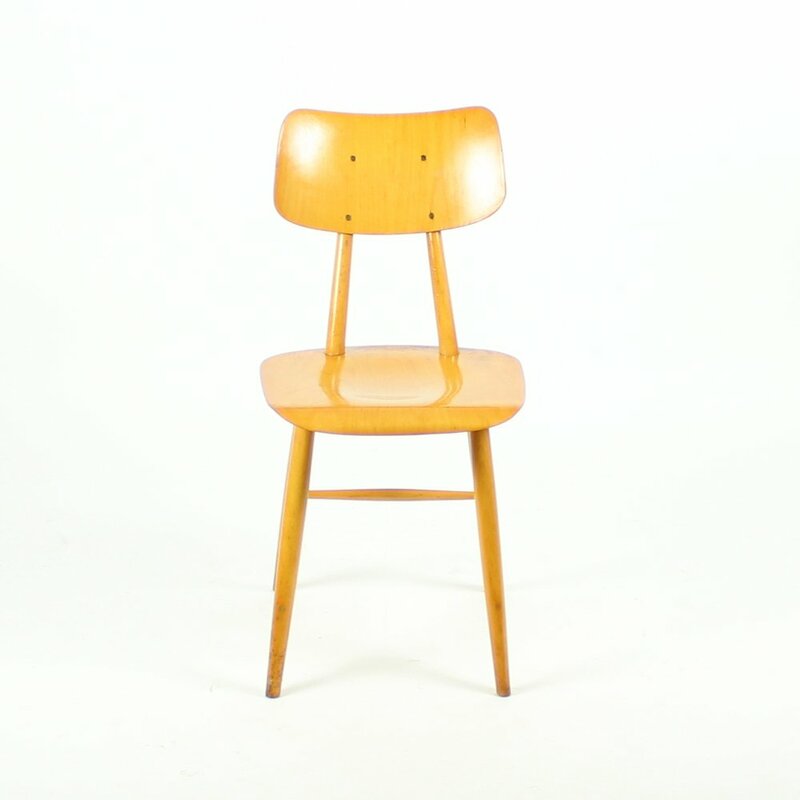 These charming chairs were produced by TON company in 1960s. 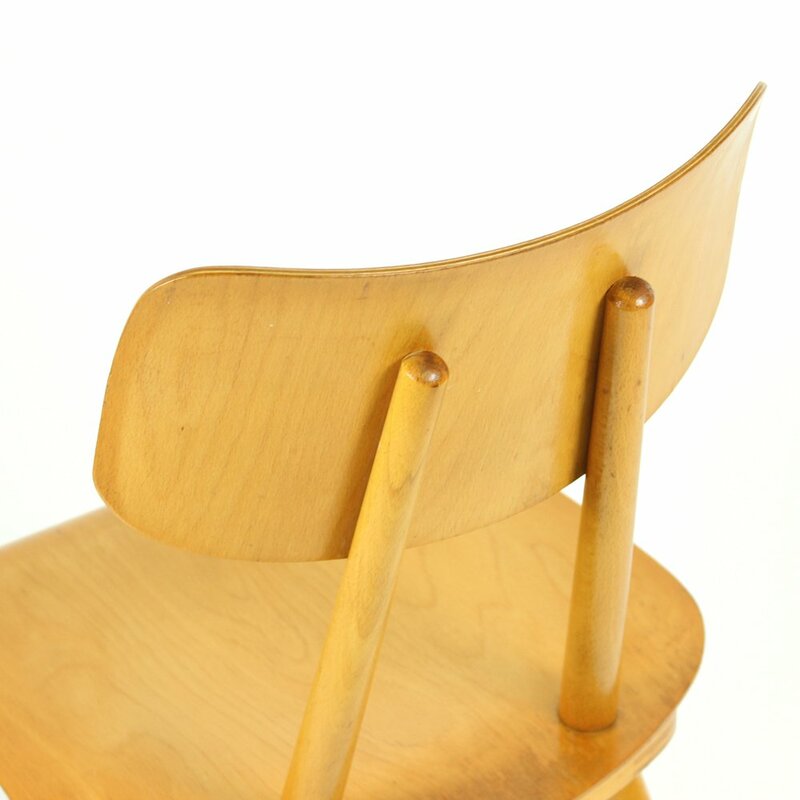 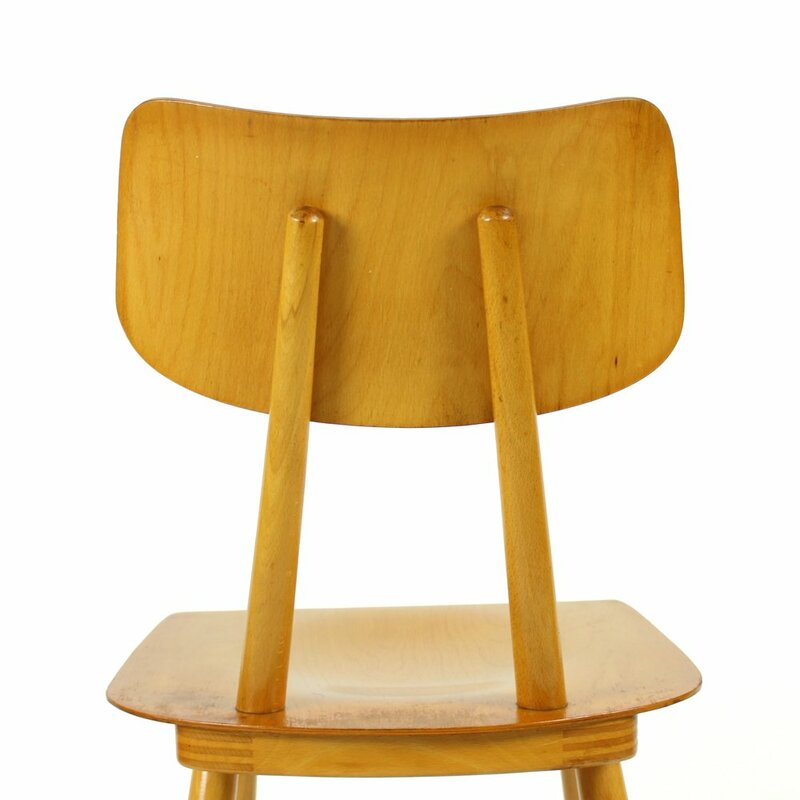 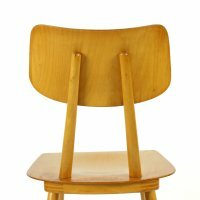 The model is also commonly known as kitchen chairs, because they often found their place by the kitchen table. 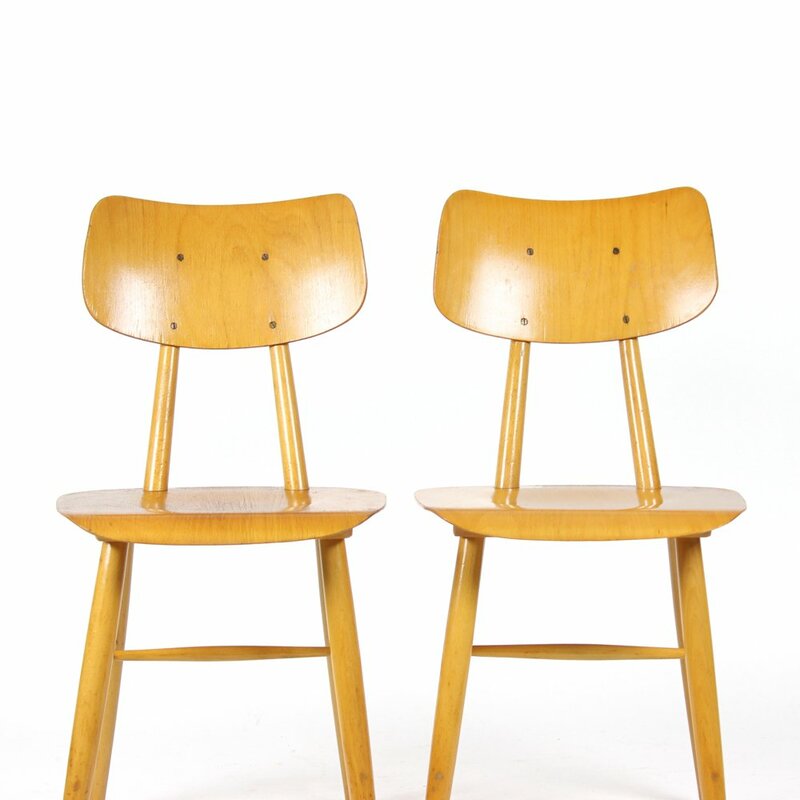 The chairs are fully made of wood. 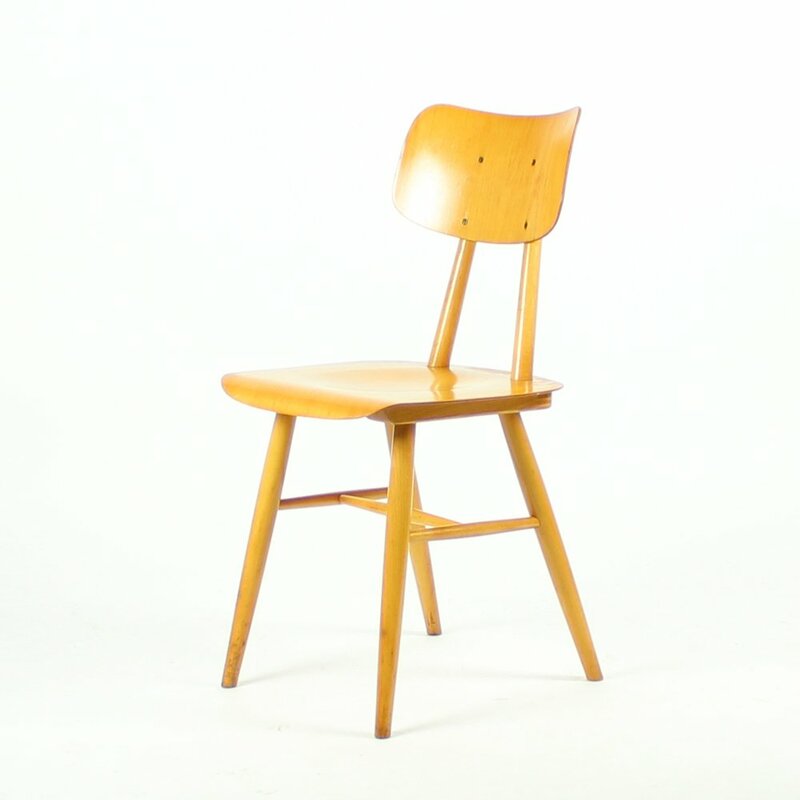 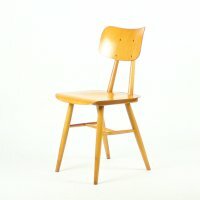 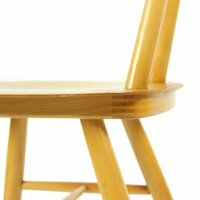 The seat and backrest in natural, blond wood finish. 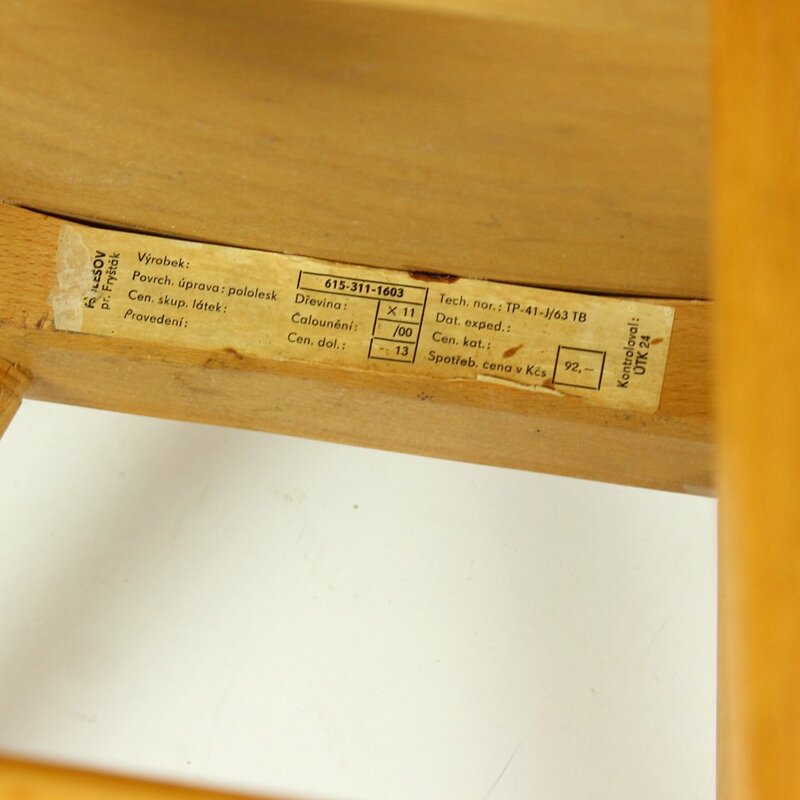 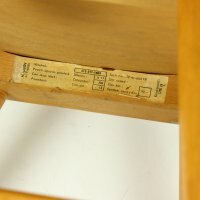 The chairs are very stable and in very good condition. 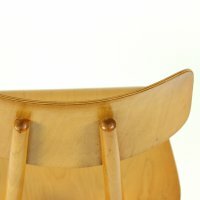 Some wear visible. 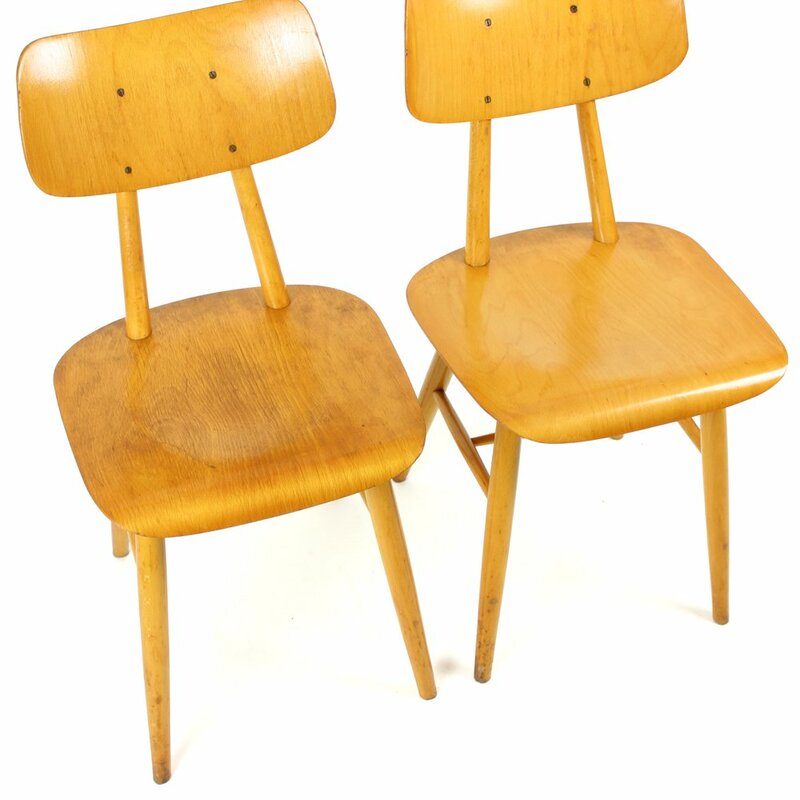 Yet, the chairs are still fully functional. 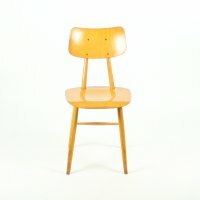 This patina kind of makes them even more charming and gives them a unique vintage look.